So, there I was, looking at the post-Christmas clearance shelves in WHSmith, when it stood out like a sore thumb, that had then been hit by a hammer, a pack of ten 3.5-inch floppy discs, brand new, for £1.99. 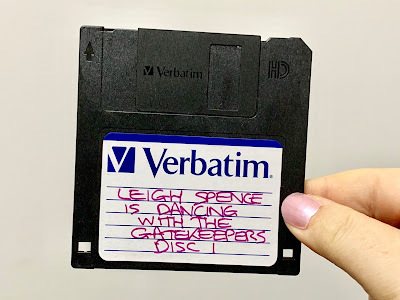 The Proustian nostalgia took over: in the days before broadband internet, and when I was studying for my degree, I would download articles from the internet, or more often only the text of a web page, then take a pile of floppy discs home and read them there. I also discovered the Pop Art painter Keith Haring at this time, and still have low-resolution GIF files of his pictures saved from sixteen to seventeen years ago. However, my first encounter with the floppy disc was as part of moving from an 8-bit computer like the Acorn Electron, requiring you to learn BASIC commands to load programmes from cassette tape, to 16-bit models like Commodore’s Amiga line where, once the disc was inserted, the computer knew what to do, and got on with it. Since then, the nature of computing has changed again, and the achievable ability of a floppy disc, with its maximum 1.44 Mb capacity, was left behind in another decade. Incomprehensible levels of data are flung through the air for every conceivable use. Picture and sound quality for video, music, photographs and apps have dictated the everyday levels of data we expect to have in our grasp – it doesn’t take many lines of code to make an app, but the level of graphics we expect is what takes up the space. 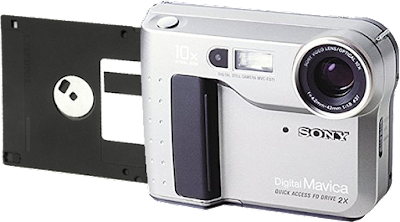 If anything is using a floppy disc today, it is something that still has a use, despite something newer being available – something like an old word processer or oscilloscope - or because it is something completely outdated that people want to keep going, much like a Commodore Amiga, or one of those Sony Mavica cameras that had a disc drive inside them. Of course, I bought the box of discs from WHSmith. I hadn’t seen one in all this time, mainly because I didn’t think they were still being made, but someone must be buying them. I could not find any evidence online that Verbatim, the brand on the box, had made these discs since 2016, which explains why some sellers on Amazon, eBay and the like think they could get away with selling the same box for £20 or more. Other sellers list the discs on their sites as “product unavailable,” most likely not because they no longer offer them, but after having realised they still were. Now the discs are home, what use can I make of them? Almost none. Saving any picture or sound file to a 1.44 Mb space means you have to take something away from it to make it smaller. Saving a video is a complete non-starter. I took a picture of a disc for this article, and even after cropping it, it was still 2.7 Mb – the picture quality, not just the size, would have to be sacrificed. 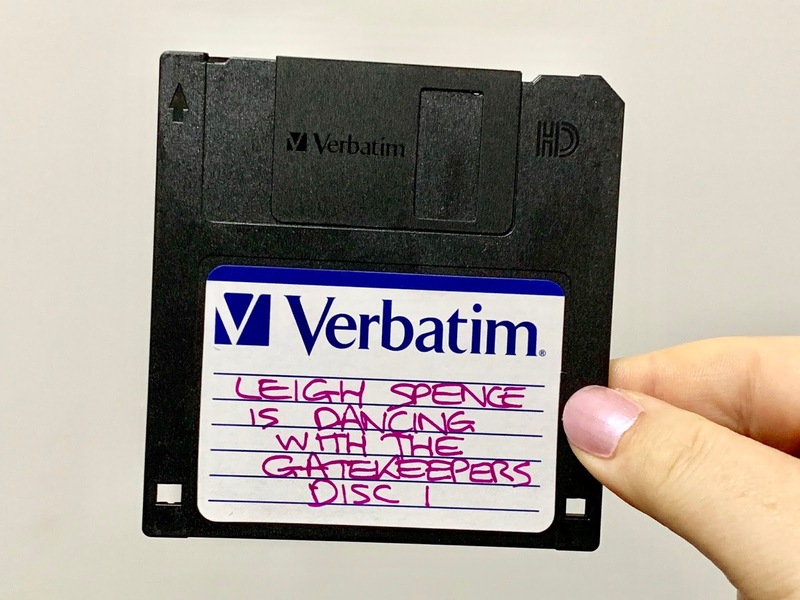 Making a song fit a floppy disc was a crushing experience. I chose the one song that everyone appears to like, Toto’s “Africa,” which lasts 4 minutes 55 seconds in its album version. The FLAC version I have of the song, saved from CD without any loss of information, is 34.6 Mb in size – the bitrate is variable, but reaches a maximum of 983 kilobits per second (kbps). This is as good as you are likely to hear “Africa,” without paying extra for a new high-definition master released last year. To reduce it down to an MP3 file of only 1.12 Mb, but while keeping it in stereo, and keeping the same 44.1 kHz sampling rate as the CD, that 983 kbps is reduced to only 32 kbps – the result sounds like you have been placed on hold while on a phone call to your broadband supplier. Saving music to floppy disc is achievable, but at the expense of wanting to listen to the result. In fact, the version of “Africa” I created by converting it to MP3 loses so much of the original, I may be able to claim it as a derivative work, separate from the original. In truth, only document files can realistically fit on floppy discs – a Microsoft Word document (.docx format) takes up thirteen kilobytes before you add a single word, but you could still fit an average-sized novel before space runs out – “Les Misérables” might need a second disc. In fact, saving a document of your passwords to floppy disc might be a useful encryption tool – who else will be able to read it? Just don’t save it to a format an Amiga can read.